Finally had the house to myself so I let the Marshall rip ....next room at a volume of 2 The RR amp is wicked loud.Had a hard time hearing the backing track so I was getting a bit lost,yeah that's my excuse for screwing up Just a few quick runs. Last edited by JAY on Sat Mar 21, 2009 4:38 am, edited 4 times in total. 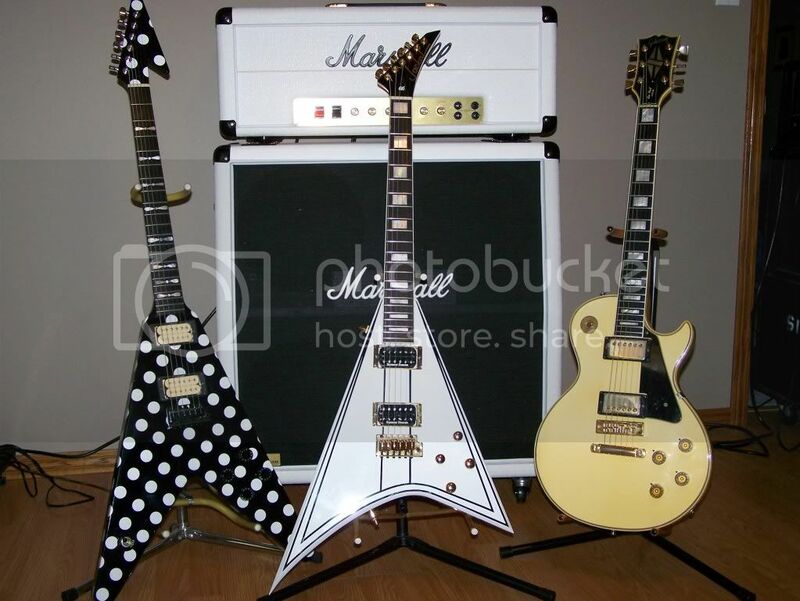 [quote="JAY"]Finally had the house to myself so I let the Marshall rip ....next room at a volume of 2 The RR amp is wicked loud.Had a hard time hearing the backing track so I was getting a bit lost,yeah that's my excuse for screwing up Just a few quick runs. Haha I didn't notice you screwed up amazing job! You were ripping I Don't Know to freakin Shreds! Hey what pedals were you using could you give me a list. Ah A Zack Wylde wah! You dirty dog I am jealous!